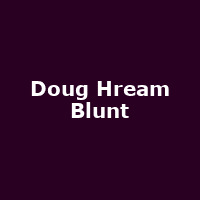 "Doug Hream Blunt learnt to play music at the age of 35, by taking an adult class in the late 1980s. The class was organized by a high school music teacher and his wife, and held in their small garage in the Golden Gate Park neighborhood of San Francisco. The other students of the class became Doug?s band members, while his teacher joined on vibes, and his wife on bass."